Mining giant Rio Tinto has blindsided the Brisbane commercial property scene with plans to move from its from its long-time Queensland “purpose-built” headquarters on Albert St and into the new $500 million Midtown Centre by mid-2021, reports the AFR. Rio signed a 10-year lease deal for 20,000 square metres of office space a gross rental of about $850 per square metres, which will translate into a $17.2 million rental bill a year. The company will occupy the top floors of the under-construction tower, which represents almost half of the 42,000 square metres the Midtown Centre will offer across its 26-storeys. Rio’s decision shocked most of those in the market and none more than Dexus, said a source close to the commercial property space in the region. “All of Brisbane thought they would stay … usually you expect to get at least two terms out of an asset like that,” said the source. 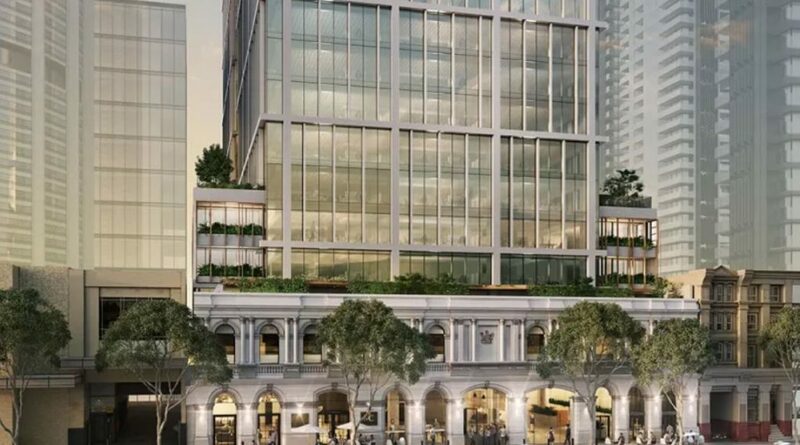 The Midtown Centre project will merge two dated office buildings at 155 Charlotte Street and 150 Mary Street into a single new office tower, surrounded by a laneway precinct, said The Australian. The 27-storey, Fender Katsalidis-designed tower will comprise 42,000 square metres of A-grade office space and a campus-style podium with floor plates that are some of the largest in Brisbane. It will include a 5-Star Green Star office rating, a sky garden on the building’s 20th floor, a new heritage facade on the nearby Mary Charlotte laneway, and the restoration of another on Charlotte St. The Rio Tinto dealings mark the first major tenant for the Midtown Centre since its development was given the green-light by Brisbane Council last March. The development will combine two vacated government buildings just north of the Brisbane River at 155 Charlotte St and 150 Mary St to create one super-tower worth about $500 million. Rio Tinto will take up the new lease in August 2021.